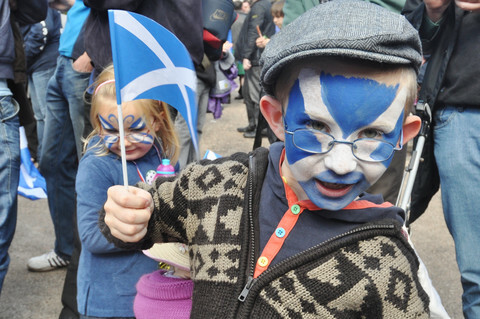 For a short time, they were like the plucky Gauls of the Asterix series, a small region in Belgium holding out against a legion of countries ready to sign a transatlantic trade deal. But, it seems the pressures and ultimatums on the Walloon government have cleared the way for the Belgian federal government to sign the Canada-EU trade deal (Ceta). The debate, though, is far from over. In exchange for ending their veto, the Walloon government has sought the opinion of the European Court of Justice on whether investors' rights enshrined in Ceta are legal under European law. Wallonia maintains its objection to the investor-state arbitration system and retains the power to not ratify the agreement at a later stage. It is fair to say most Europeans hadn't even heard of Wallonia until recently, but its stand against Ceta led to unprecedented invective against the region, with its politicians accused of political grandstanding or reactionary anti-globalization sentiments. Former trade commissioner Peter Mandelson said Wallonia's actions put "a dagger at the heart of European trade policy", arguing it was time to end the scrutiny of trade treaties by national parliaments. If the answer to an expression of democratic will is to seek to subvert it, European leaders clearly are yet to learn the lessons of Brexit and the Greek financial crisis. 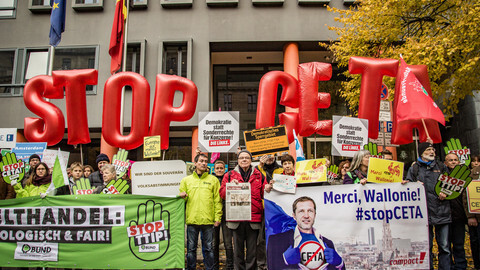 Wallonia was far from alone in its opposition to Ceta; 2095 municipalities and local authorities (including Amsterdam, Cologne, Edinburgh, Grenoble, Barcelona, Milan and Vienna) declared their cities and counties Ceta - and TTIP-free zones. More than 3.4 million European citizens signed petitions. 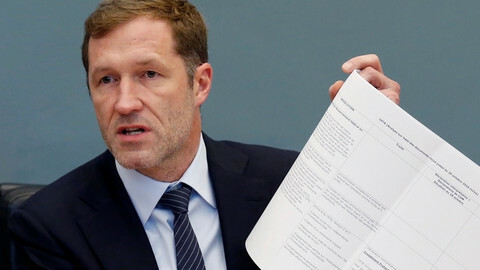 National governments too, such as Germany, Austria, Poland and the Netherlands, shared many of Walloon's concerns about investor rights; but had not shared the same courage to block the deal. Unlike many European parliaments, the Walloon parliament was also one of the few that took time to study the 1600 pages long treaty and analyse its possible impacts. 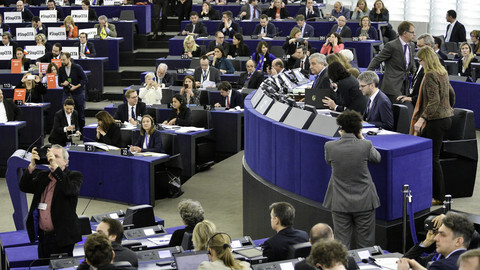 The parliament held extensive debates and expert hearings over 18 months, raising concerns over negative impacts on public services, agriculture, food standards, and the EU's precautionary principle. Their biggest concern was that the treaty would grant foreign companies the right to sue governments at international arbitration tribunals for legislating in the public interest. As early as 2014, the Walloon parliament stated that "arbitration has to be taken out of Ceta, it cannot be reformed, it's a matter of principle, it has to be taken out". Rather than listen to the Walloon parliament, and the millions expressing similar concerns across Europe, the European Commission responded by introducing minor procedural reforms to the 'investor-state dispute settlement mechanism' and rebranding it as the 'investment court system'. The new proposed system still allows companies to bypass domestic court systems. It does not prevent companies from challenging government decisions to protect health or the environment nor prevent arbitrators from deciding in favour of investors and ordering billions of euros in compensation. 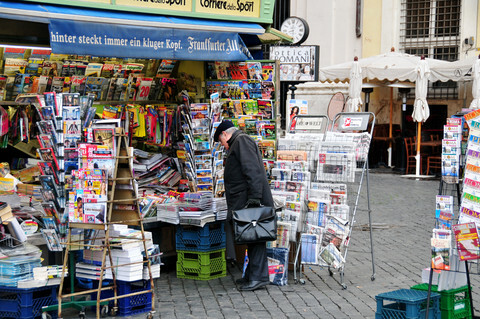 It can still put a chill on regulation, as governments fear spending public money on multimillion-euro lawsuits. When the Walloon parliament rejected the commission's cosmetic reforms, asking for "a dispute resolution mechanism that prioritises state-to-state based on existing public courts," they were treated with disdain by commission officials. Ignoring their concerns, the commission simply developed numerous clarifications that only restate or slightly rephrase the content of the flawed text of the agreement. It has been typical of the commission approach, which treated all opposition to its policies as the product of ignorance rather than substantiated critiques. 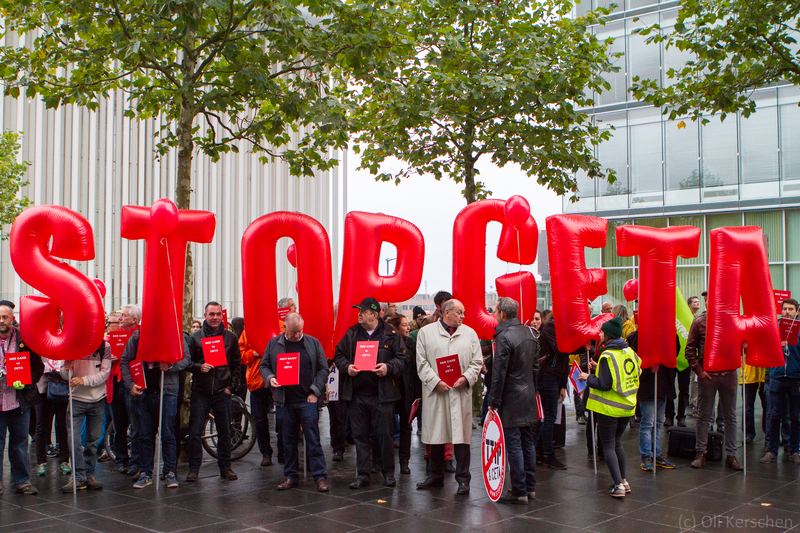 EU officials are yet to grasp that the Walloon government and the majority of citizens across Europe reject Ceta precisely because they do understand what is at stake. Legal experts, from German judges to prominent international trade lawyers have confirmed the threats Ceta and other such trade agreements pose to regulation in the public interest. 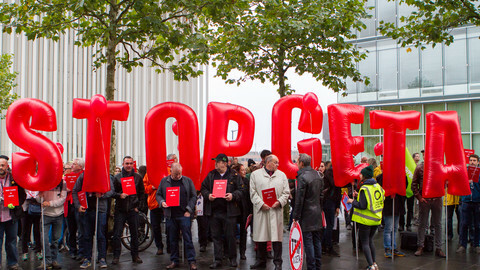 Wallonia was not sinking a trade deal; it was protecting democracy for all of us. Even if Ceta is signed, there is still a long process ahead, as it must be ratified in each parliament of every EU member state. Wallonia's brave stand has shown that the people of Europe want a real debate about the content of this treaty and the future of EU trade policy as a whole. Cecilia Olivet is a researcher with the Transnational Institute, an international research and advocacy institute based in the Netherlands. She is the co-author of the report Profiting from Injustice and member of the presidential commission established to audit Ecuador's international investment regime. 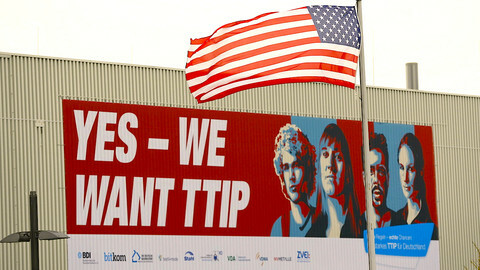 Are the EU and US ready for free trade? While Europe is one singe market, America remains decentralised with different rules and standards, adding extra costs for European companies to enter the US market. While few people in Europe have heard of the 'Achmea' ruling, the case will have far-reaching consequences. Member states must understand the implications of the case quickly - especially those considering ratifying the EU-Canada trade agreement.